AlphaGo vs. AlphaGo; Game 28 (Part 1): Who’s zooming who? 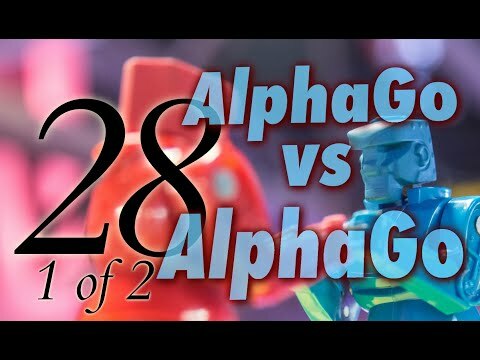 In their latest in the popular video commentary series, Michael Redmond 9p, hosted by the AGA E-Journal’s Chris Garlock, review the first half of the 28th game of the AlphaGo vs. AlphaGo selfplay games. The 50-game series was published by Deepmind after AlphaGo’s victory over world champion Ke Jie 9p in May 2017. “There’s a lot packed into this game,” says Redmond. “We start with a slightly confusing fight on the lower side, things slow down for a bit, then there are all these weak groups and it gets a bit confusing to tell who’s attacking and who’s in trouble, so it’s a pretty interesting middle game.” “Buckle your seatbelts!” adds Garlock. Part 2 will be published next Friday, February 8.